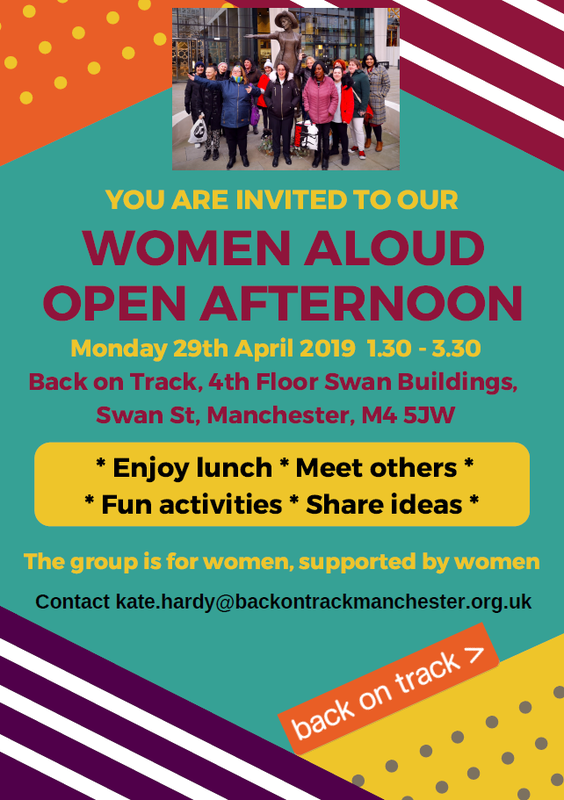 Back on Track’s Women Aloud group are holding an open day on Monday 29 April, from 1.30 to 3.30 in the afternoon. It’s open to all women who are interested in the group, whether they’re thinking of joining or referring someone else. There will be lunch, chat and fun activities, so please do come along or tell someone you think might be interested. In the past the group have done all sorts of interesting and creative things, including trips out and making this brilliant zine. If you want to ask anything about the open day or the group in general please contact kate.hardy@backontrackmanchester.org.uk. Our Women Aloud group are holding a special open afternoon on Monday 25 February to kick off a new series of workshops. There will be the chance to chat, enjoy lunch, try out some activities and find out all about what’s going to happening in the group over the next couple of months. It’s happening from 1.30 to 3.30pm at the Back on Track centre. 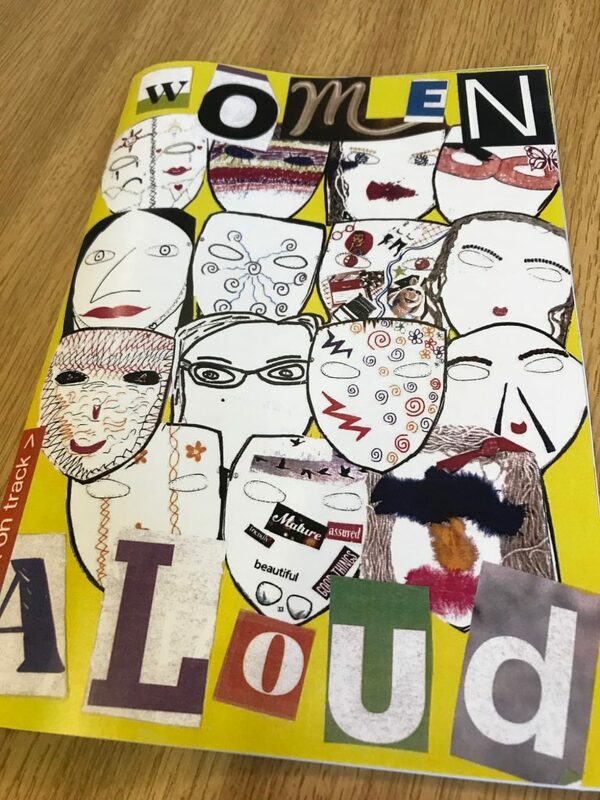 Our Women Aloud group is aimed at women with experience of homelessness, drug and alcohol problems, mental health problems and offending. If you’re interested in being part of the group then do come along and find out what it’s all about! The group is for women, supported by women. Back on Track is a women only space on Monday afternoons. A year ago we were thrilled when we found out that we’d been chosen by Withington Golf Club as their charity of the year. This week we found out that they raised almost £9,000 for us over the year. Phenomenal! We’ve had great fun at lots of their events in 2018, including a successful attempt to break the record for the fastest ever round of golf. The amount they raised also our breaks our own record for the most in a year. 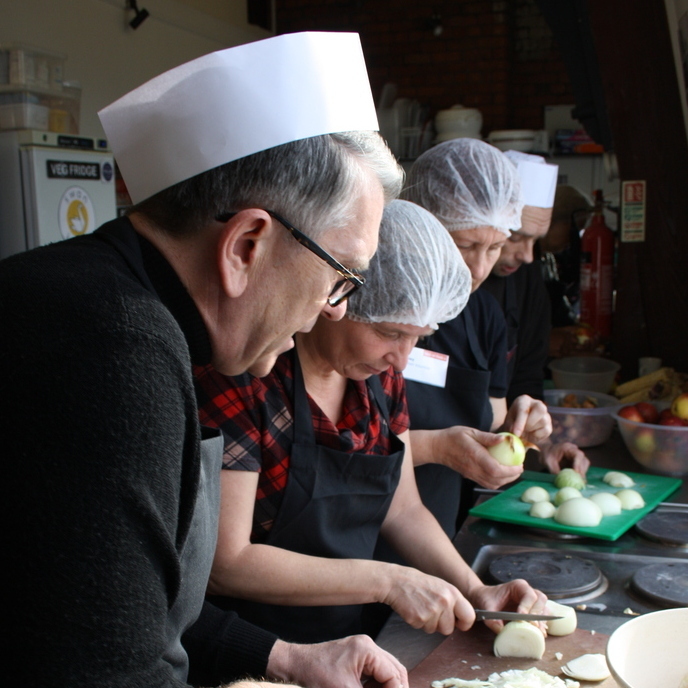 Siobhan, our CEO (left) is pictured with Martin, the Captain, and Carol, the Lady Captain. Huge thanks to them both and to everyone at the club who donated. Whichever charity is chosen as their next charity of the year is very lucky indeed. 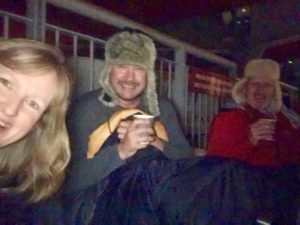 Our trustee Mark took part in the CEO Sleepout event to raise awareness of homelessness in Manchester, along with our CEO Siobhan and two other trustees. Here he blogs about the experience of giving up his bed for the night. The evening started with everyone in great spirits about the event. In total, there were about 80 fundraisers from around the Manchester area all supporting various Manchester homeless charities. There were guest speakers who all brought to life the purpose of their charities and helped to explain exactly what benefits the money raised would do for their represented causes. Our nominated charity (Back on Track) was represented by the wonderful CEO Siobhan Pollitt who spoke passionately and informatively about the support and training they provide to people from a disadvantaged position in life, whether that be homelessness suffering from a mental health issue, in a period of recovery following substance or alcohol abuse or other disadvantages. We then heard testimonials from 4 individuals who had suffered homelessness – this is when reality kicked in. I know that we all think we understand the reasons why people become homeless and sadly, there is a tendency to blame alcohol and drug abuse, but actually listening to the harrowing stories from these 4 amazing individuals really gave insight into how everyday events and a run of bad luck can have a knock-on effect eventually leading to homelessness in some cases. Not only that but we also heard from 1 individual about how her gender re-assignment led to a massive amount of prejudice and discrimination which forced her into a life of prostitution, drug abuse and homelessness. It wasn’t a pretty way to end the speeches but it certainly brought to the front of mind exactly why we were doing this and what difference our efforts would make to the supporting charities. On to the stands then – fortunately for us it was relatively mild and dry. Me and my teammates found a cosy-ish looking area in the stands and laid out our comfortable sleeping mats and triple insulated sleeping bags – I did wonder at this point whilst I was laying out my expensive camping gear, how on earth I would feel if I was looking for somewhere to bed down for the evening with nothing more to keep me warm than the clothes I was stood up in. I felt an immediate rush of guilt and felt determined to do the best I could going forward to help and raise the profile of this plight. I had the foresight to make hot chocolate and decant it into vacuum flasks before I left the house that night and we settled down with our books and hot drinks before trying to get some sleep. Unbelievably I slept decently but was still full of aches and pains on waking from having slept on concrete and my concentration and ability to keep awake the day after was severely impacted. I then had a realisation – how do people who have to suffer this every night cope? I am often angered when I hear people criticise how awful it was that they had to walk around or step over a homeless person asleep on the street but having insight into why they’re unable to keep awake in the daytime brings it into stark perspective – how would you cope if you had spent all night in the freezing wet conditions of your typical Manchester night whilst trying to fend off people harassing you or trying to steal your few meagre possessions? Overall, the experience was truly worthwhile and it’s something that I’ll certainly be doing again soon – I think everyone should do it at least once until we can at the very least have empathy with what homeless people suffer on a daily basis. 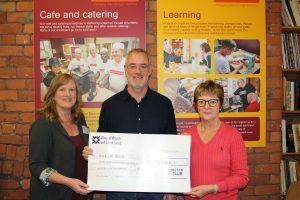 On to the great news now after all that – between myself and the 3 other trustees at Back on Track, we managed to raise a whopping £8,160 for our chosen charity! 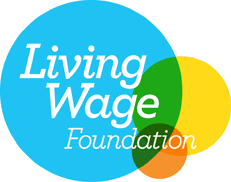 This is enough to fund a training programme at Back on Track’s learning centre in Manchester and will definitely go some way to making sure that the charity can keep its doors open for another year.